I'm not usually a fan of guided tours, but we kicked off our trip with a popular Savannah trolley tour to get acquainted with the city. Most of these tours offer unlimited hop-on hop-off capabilities for the remainder of the day, and I would also recommend them as initial guides to map out the rest of your trip. After the 90-minute ride, we were more than excited to get exploring. Our first brunch was the most un-southern meal of the trip, but as a New Yorker I couldn't resist the best Aussie café in town. 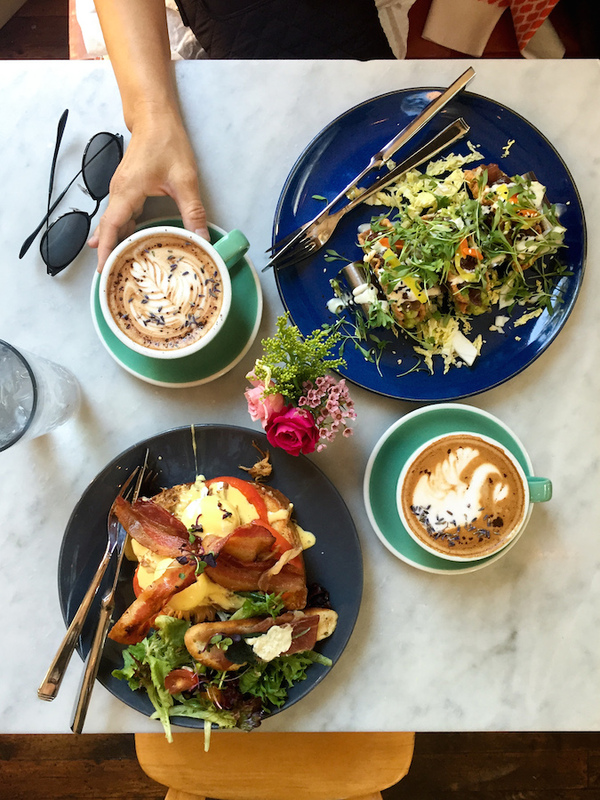 The Collins Quarter brought the Australian dining scene to Savannah with its best-in-class coffees (especially the lavender mocha) and avocado toasts, of course. But despite the cultural change, there was definitely a Southern influence on my french toast with its unapologetic toppings of pulled pork and bacon. Just across the street from brunch was the Birthplace of Juliette Gordon Low, who is best known for establishing the Girl Scouts. Fun fact of the day: I was a Girl Scout for about ten years. 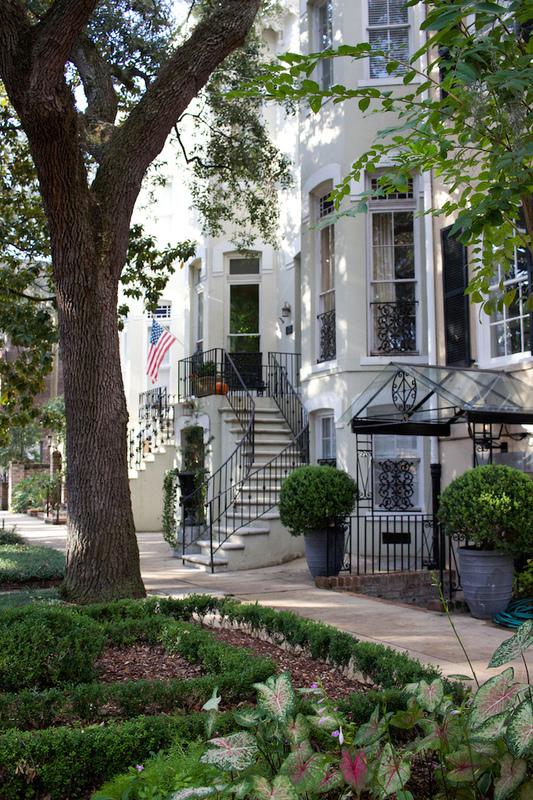 Savannah has no shortage of homes to visit, and this one seems to always top the list. When visiting the historic city I would absolutely recommend visiting at least one home. The amount of history that lines these streets is best experienced in person rather than read on a web page. Any Forrest Gump fans here? 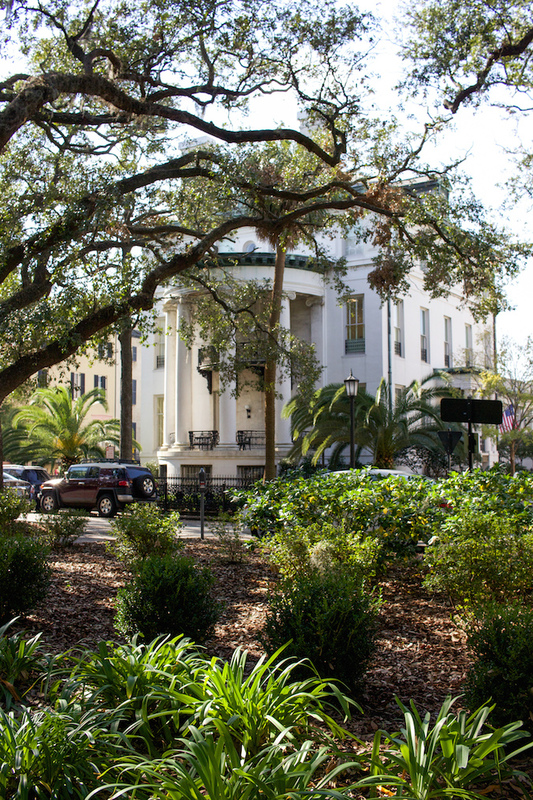 Just down the street from the Juliette Gordon Low Birthplace is Chippewa Square, where Tom Hanks famously gave his "life is like a box of chocolates" line. The original bench no longer stands here, but the area is still worth the stroll. 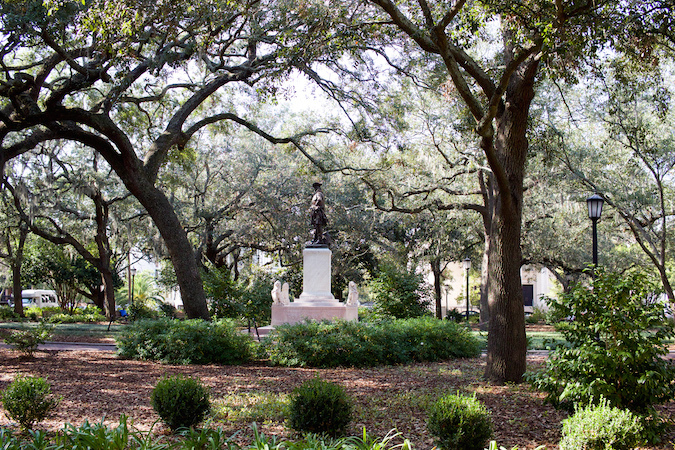 Savannah boasts 22 beautiful squares that make walking the best mode of transportation. 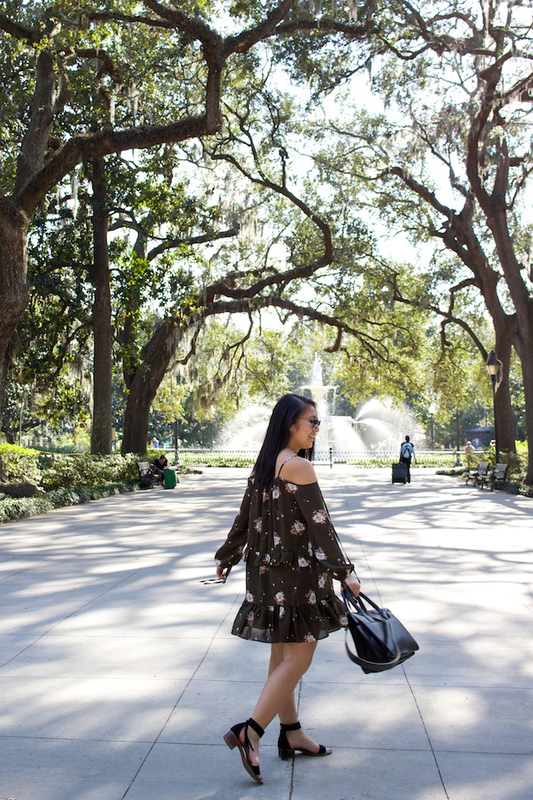 A further walk down Savannah's historic district is its famous Forsyth Park, where a stunning line of oak trees leads down to the iconic fountain. 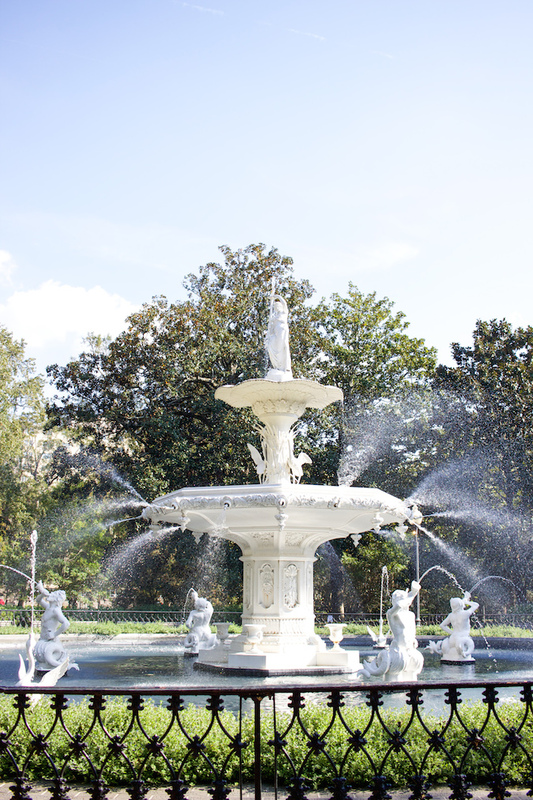 You can easily spend hours in this park strolling, reading, or simply lounging along any of its 30 acres. It's no wonder that so many couples choose to get married in this very spot. Speaking of weddings, another popular spot for the event is The Gingerbread House, which sits just outside the historic district. 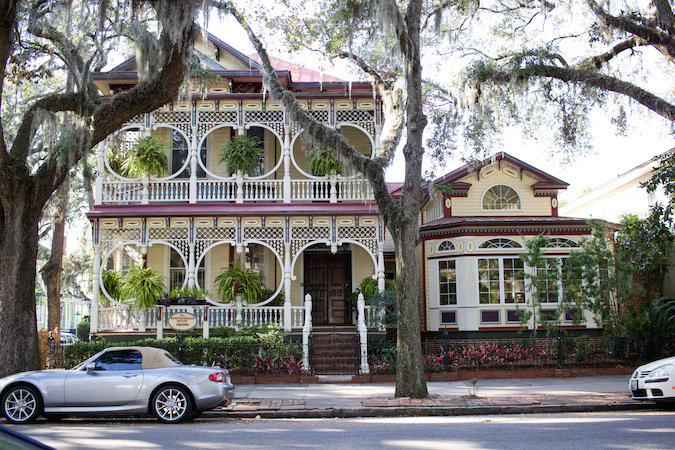 This house has become a photographic symbol of Savannah as well as a preferred venue for various events. It was quite the walk from brunch to this spot, but the view was well worth it. 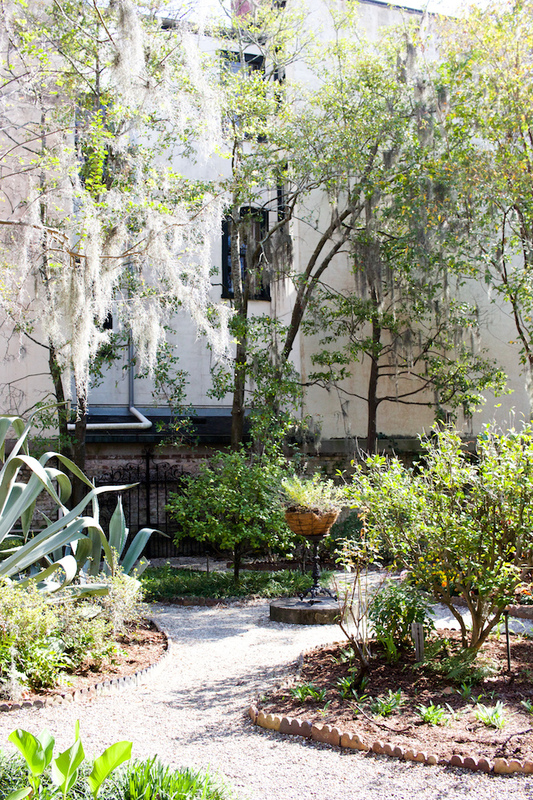 There is a consistency between the cities I love most -- Venice, Lisbon, and now Savannah. They are all best seen on foot. I love any walkable city that lends itself to exploration outside of the typical tourist spots. 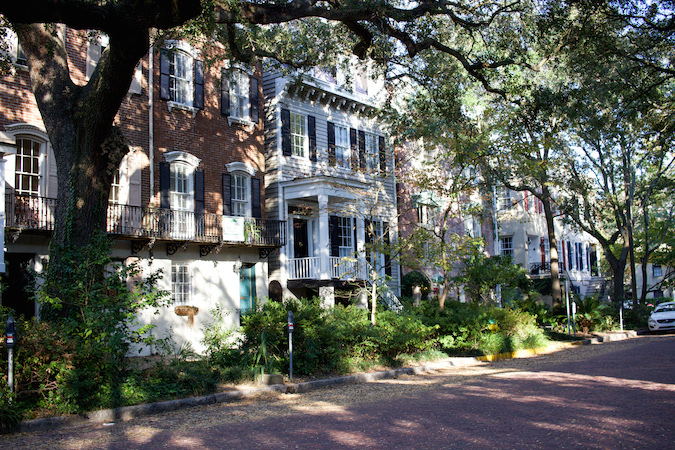 Jones Street is one of the most beautiful streets to stroll in Savannah with its uniquely elegant Southern homes. 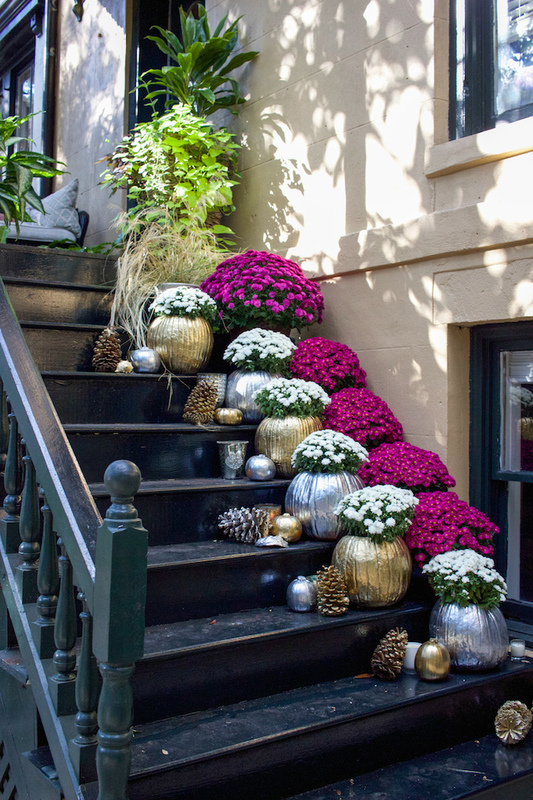 I especially loved each homeowner's festive spirit, with metallic pumpkins and colorful flowers decorating the stairways. Needless to say I couldn't help but stop to take photos every few seconds. Not photographed: We ended our day with dinner at Alligator Soul, where we dined over an elegant seafood meal. Between stuffed oysters, mussels, and scallops, we had a fantastic culinary welcome to Savannah. Don't be surprised when restaurant staff constantly strike up conversations while you dine either. We were so warmly greeted by our waitress that every minute was made memorable. 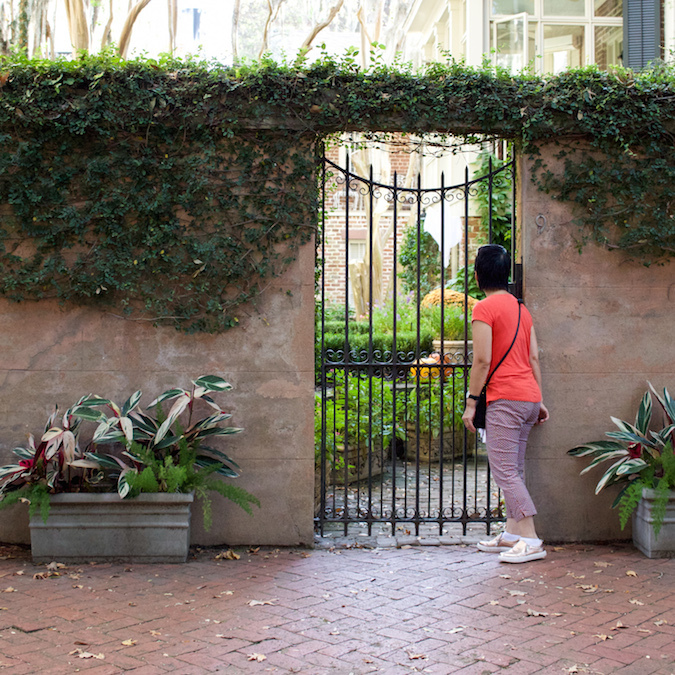 It's no wonder the South is attributed to hospitality and charm. 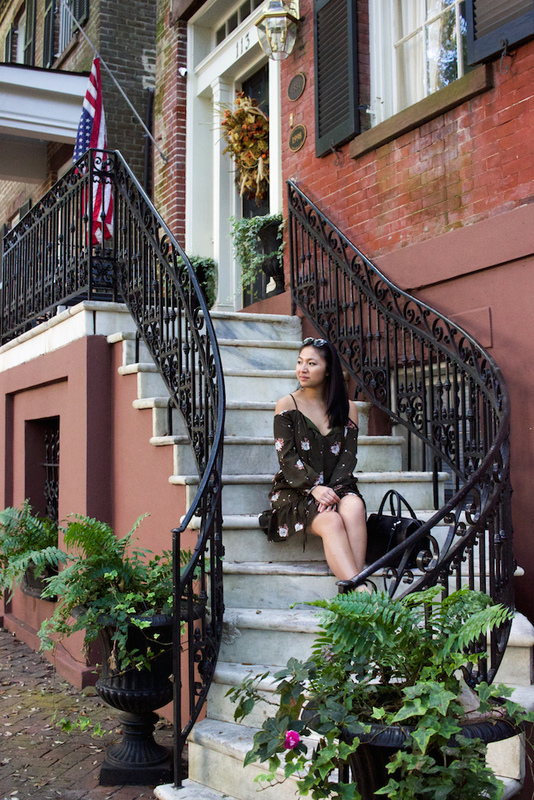 Stay tuned for more highlights from our Savannah getaway! The weather really was beautiful! I miss it already! I love your travel diaries, they are the best! Savannah looks stunning! I so want to visit! Absolutely loved it! Such a sharp contrast from New York. When are you not on an adventure?? hehe Savannah looks so charming and your travel photos are always so beautiful! That place looks incredible. Gorgeous photos. This is the second blog post I read about Savannah. It is indeed rich in history and culture, I would love to see it one day. Your writing is just exceptional I feel like I was there while you are describing it. And hooray to Aussie café being present there, you gotta love the avo on toast. Love your OTS floral dress btw. Great post Christina! You should absolutely visit one day! Thank you for your comments as well. :) Travel posts are my favorite to write! Wow you are so sweet to take your mom on trips, what a great daughter you are! 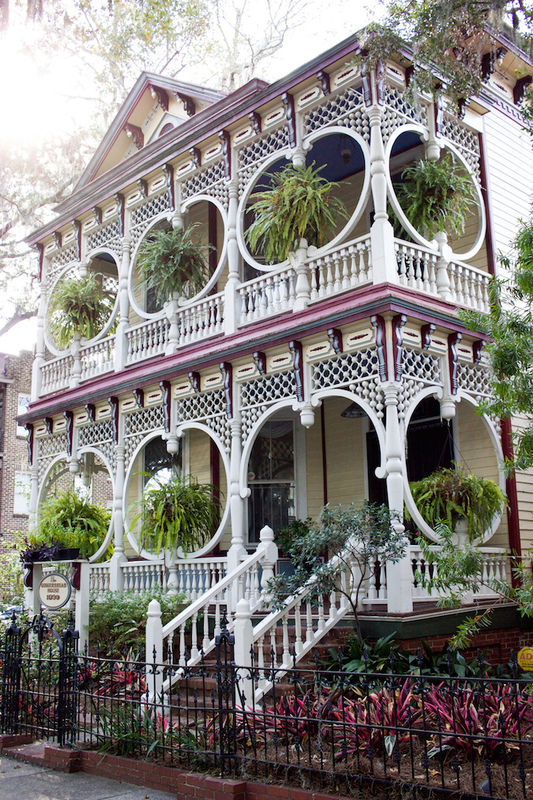 Savannah seems like such a romantic place, I am IN LOVE with that gingerbread house! Also I'm super loving that Asos dress of yours (already told you the last time you had a post with it) and seriously considering getting it as well! Thank you Tania! You should definitely try to visit one day. :) My mom loved the gingerbread so much she bought a magnet for it! Georgia looks absolutely gorgeous! The entranceway to that one flat what styled so stunningly with the mums and gold and silver potted flowers! Major front door styling inspo! Can't wait to see and hear about the rest of your trip! Right?! I admire their decorating! Theses photos are so beautiful ! Seems like an amazing trip and amazing city. Love the gingerbread house, so georgous ! I love your off shoulder dress by the way. So much house goals man! Jeewak Ambulance is known for the Best Ambulance Service in Delhi. We Provide Dead Body Ambulance Rentals in Delhi NCR, Mortuary Van, Funeral Service. We have network of over 300+ Ambulances and 2000+ Trained First Responders so get Ambulance service in Delhi with full Medical Facilities at your doorstep.